Teenie Weenie Witness Wear, Inc. 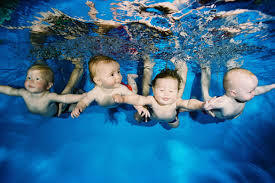 In fact, if you have been around small children, you will notice that even a baby will be drawn towards other babies. Why are pictures of babies so cute? Well, there are different theories explaining the irresistible baby charm. One of them is that nature makes them that way to ensure the survival of the species. Most babies are cute. Even animal babies like puppies or kittens are adorable. Human babies need a longer time span to develop and be socialized and it is therefore important for them to be liked by their parents or other adults around them. Being so cute works in their favor. Not only does everyone want to feed them, hold them and take care of them, but when youngsters watch babies or wonderfully cute pictures or posters of babies, they also yearn to have some of their own. Of course, part of a baby’s charm is that it is innocent and wholesome. There is no prejudice or hatred or fear in a baby’s heart, nor does the child make value judgments. No one can possibly find a more accepting or complete person than a baby. Photographing baby pictures & baby photo contests : Photographing babies requires patience. Getting your baby to model to smile for a photo shoot may be a difficult task ! Getting the perfect picture with that innocent smile requires patience. Choosing a colorful background or natural surrounding would be a difficult choice. A good camera will allow you to take a close up picture of the baby. Baby's look cuter in close-ups ! It may be difficult for the baby to stay still for the picture or even smile. Now it's up to you to get your baby to smile. 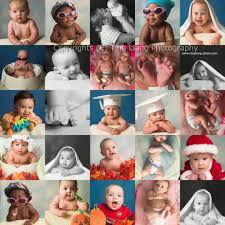 Try different moods and take lots of baby photos. With the advancement in technology, the trend has shifted towards clicking baby photos using a digital camera. Here, baby images are captured on a CD, floppy or can be saved directly onto your computer. Clicking your baby's photographs this way saves time and money that goes into scanning images. And of course, you could use these cute baby pictures as screensavers on your comp & change them often. Baby pics & baby videos are in demand by advertising agencies, who may require them for calendars or catalogue work. your life they do. They just do their 'baby-thing & entertain you. When you are pregnant, you share your body with your unborn child. Everything that you eat or drink or inhale, you also give to your baby. So a simple rule is, if you wouldn’t give it to baby after she is born, do not give it to her before she is born. And if you would want baby to enjoy fresh air, exercise, and rest, then you need fresh air, exercise, and rest now. For some of us, this means changing how we lived before we got pregnant, and some of those changes are not easy. Here is some information about why they are important and how you can get help to do what is best for you AND baby. Smoking during pregnancy is the most important cause of poor infant health and even death. When a pregnant woman smokes (or even inhales second hand smoke when others smoke around her), she cuts off the full flow of oxygen to her unborn baby. The baby’s lungs do not develop properly and the baby may be born early, before he is fully developed. The damage done to babies in the womb lasts for a lifetime. Quitting smoking is not easy, but it can be done, and what better reason than to keep your baby healthy? Check out these Tips for Quitting. To get help, call 1-866-697-8487, or contact PNMC for a FREE workbook that will help you create a plan and stick with it. GRATCC (Greater Rochester Area Tobacco Cessation Center) has cessation support tools for teens and others as well as information for providers. The New York State Quit Site has links to tools to quit, application for free NRT, and education for providers with CME credit. Street drugs also damage the unborn child, sometimes causing emotional as well as physical problems. If you have been using drugs, now may be the best time to get help. Here are some programs that can help you deal with addictions. Yes, a woman’s dental health can affect her baby! Women with serious periodontal disease may be seven times more likely to deliver a baby that is too early and too small. And being pregnant can affect a woman’s teeth and gums. You may have heard the old wives’ tale about losing a tooth with each pregnancy… well, it is not entirely false. But it is preventable. Taking care of your teeth and gums is doubly important during pregnancy (for your health and for baby’s health). So it is important that pregnant women see a dentist early to identify and treat any tooth or gum disease. And after baby is born, remember not to put things in your baby’s mouth that have been in your mouth – the bacteria that cause cavities can be transferred to your baby and cause disease even before baby has teeth! And that early damage affects the permanent teeth, not just the baby teeth. Martha is the mother of eight children, a registered nurse, a former childbirth educator, a La Leche League leader, and a lactation consultant. Martha is the co-author of 25 parenting books and is a popular lecturer and media guest drawing on her eighteen years of breastfeeding experience with her eight children (including Stephen with Down Syndrome and Lauren, her adopted daughter). Martha speaks frequently at national parenting conferences and is noted for her advice on how to handle the most common problems facing today's mothers with their changing lifestyles. Martha is able to connect with both full-time mothers and mother who work full-time, because she herself has experienced both styles of parenting Martha takes great pride in referring to herself as a "professional mother" and one of her favorite quips when someone voices their concern about her having eight children in an already populated world is: "The world needs my children." We Want to See the World"